Mobile app analytics service App Annie unveiled a new tool today that it says will help publishers better monitor how well their apps are performing. With this enhanced offering, apps can now gain access to the company’s analytics API, while providing hourly app store rankings and data sharing. In addition, App Annie has included an improved Web dashboard, new daily email reports and CSV exports functionality. With the updated version of App Annie Analytics, the company hopes that publishers will have “enhanced access” to their data to help better understand how apps are being used. It states that there are 275,000 apps using its analytics today across iOS, Mac, Google Play, and on Amazon. All of these platforms will receive this update. One of the updates includes integration with App Annie’s analytics offering — the company has opened up its API to be merged with third-party services. For those publishers who want to bring data from the app stores into their own custom databases, App Annie is offering access to “the first of a series of APIs”. 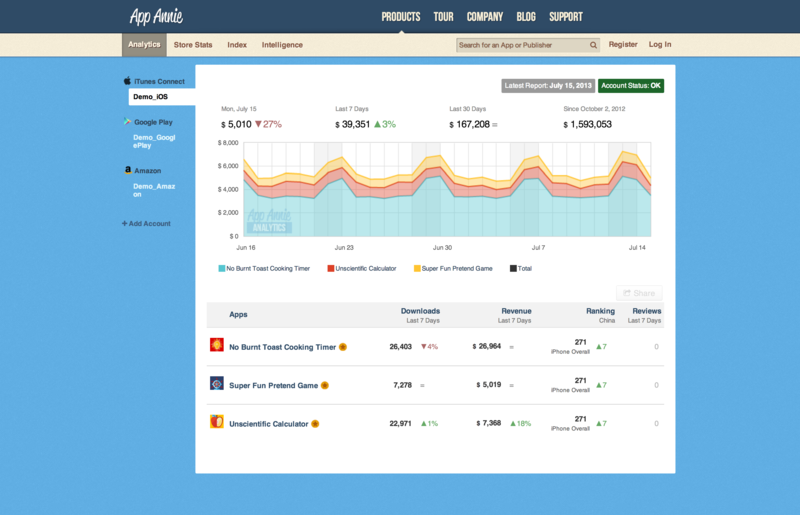 Additionally, publishers will find that App Annie Analytics includes hourly rankings and app sharing. With the former, the service gives hourly rankings on iOS for users to understand how a specific app is being ranked in the marketplace. Regarding app sharing, publishers will be able to pass along app data to whoever they want, segmented by roles and permissions. We began App Annie with the vision of creating a secure, comprehensive solution that allows publishers to track, analyze and manage sales and download data for their apps across multiple app stores and geographies. In order to bring that vision to life, we invested heavily in developing the App Annie Analytics mobile app and API. Here’s the bottom line: if you’re looking to find some key performance index to help you understand whether your app is doing well or not, then you’ll need some sort of analytics. App Annie is saying that it’s giving publishers the option to incorporate the data into their app while also being able to track it from a mobile device. However, App Annie isn’t the only one doing mobile analytics — it’s competing against Flurry, Localytics, Apsalar, and others. The App Annie Analytics tool is available now in the iOS App Store. 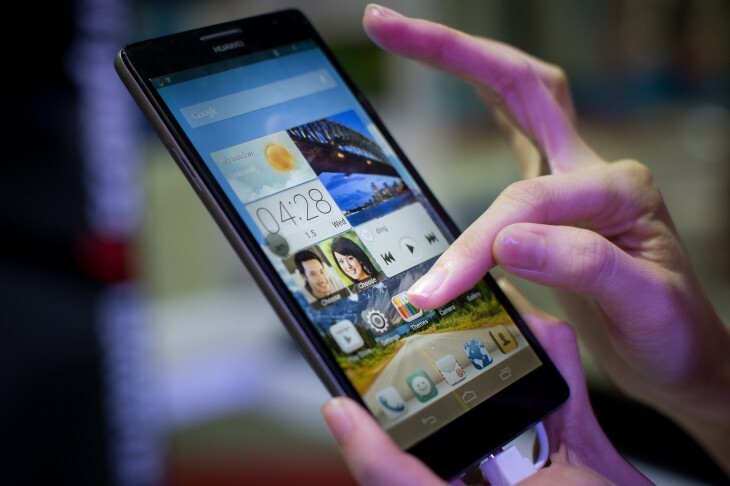 An Android version is expected to be released later this year.